Should you join BNI? - Coach & Grow R.I.C.H. BNI, short for Business Networking International, is a lead-sharing networking group. 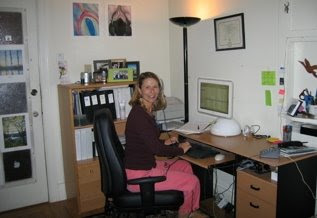 Back then I was coaching by phone from my studio apartment in the Marina District of San Francisco. Having a weekly in-person meeting where I built friendships, gained business knowledge, improved my speaking, developed a great pitch and dressed to impress at least one day a week was definitely key to my success. You need to be specific about who you coach and what you coach on. Think about it. In order for the other members to give you qualified referrals, they need to easily understand what you do. And you don’t have to be a business coach. There was a career coach in our group who was constantly getting leads. You must enjoy it. Do you like the idea of attending a weekly meeting with other small business owners in your area? Are you excited to build business and personal relationships and become an active member of a group? If so, great. You’ll like this type of networking. You need a large, healthy and dynamic chapter. The coaches who generate the best results by joining lead sharing groups are members of a great chapter. Shop around and choose wisely. The size and quality of your fellow members impact your results. You need to give leads to other members. It’s the law of reciprocity. Givers gain. You need to refer people you know to your fellow members, and this can sometimes be challenging. For example, a chiropractor who sees hundreds of clients per month has a much easier time generating referrals than a coach who works from home and coaches clients across the country. You need to be committed. You can’t just show up when you feel like it. To get good results you need to make it a weekly priority. Research organizations in your area and visit their meetings. Many chapters will allow you to attend a few times so you can get a feel for the group. In addition to potentially gaining new clients, be sure to consider the intangible benefits that address the loneliness and isolation that that is so common in the profession. If it feels right, go for it. If not, say no thank you and move on to the next thing! I dug up this picture from my San Francisco BNI days. I coached for 7 years from this office, a.k.a the entry way to my studio apartment. That’s the door out of the apartment on the left. I don’t miss that office.